To save up for college, Brooks Rattigan creates an app where anyone can pay him to play the perfect stand-in boyfriend for any occasion in the Netflix romantic comedy The Perfect Date. The more dates he goes on, the more he wonders who he really is, and who’s really worth pursuing for romance. You can check out the trailer in the post below! 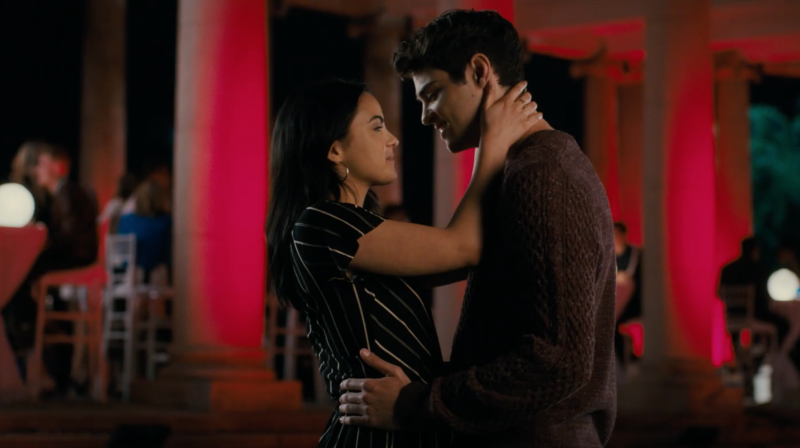 Noah Centineo (To All The Boys I’ve Loved Before) plays Brooks, who, in order to save up for Yale’s tuition, auctions himself off as a chaperone, where any girl can make him into their perfect companion for the night. The actor was recently cast in director Elizabeth Banks’ reboot of Charlie’s Angels, the action comedy Valet, and is currently in talks to play He-Man in the all-new take on Masters of the Universe. He’ll also return for To All The Boys I’ve Loved Before 2. Co-starring with Centineo are Laura Marano (Lady Bird), Camila Mendes (Riverdale), and Matt Walsh (Veep) as Brooks’ father, Charlie. Chris Nelson directed the film from a script by Steve Bloom and Randall Green. The Perfect Date arrives on Netflix on April 12.